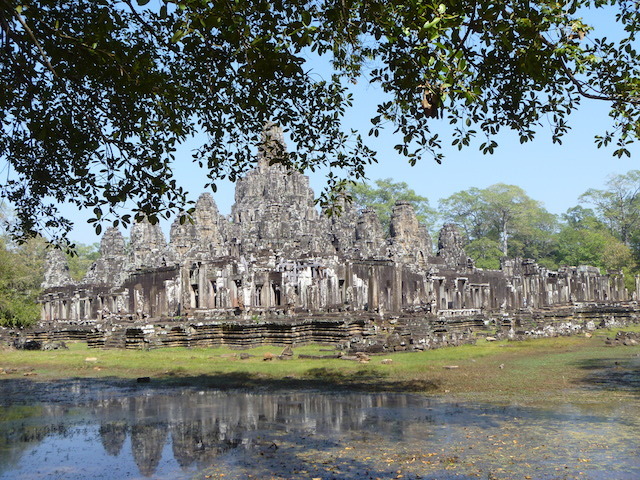 Some people like the impressive expanse of Angkor Wat, others admire the intricate carvings of Banteay Srei, others want to find their inner Tomb Raider at Ta Prohm. 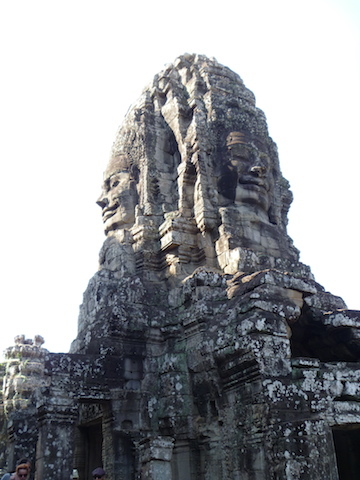 Personally, of all the temples that I have been to in the Siem Reap area, the one that I love the most is Bayon. 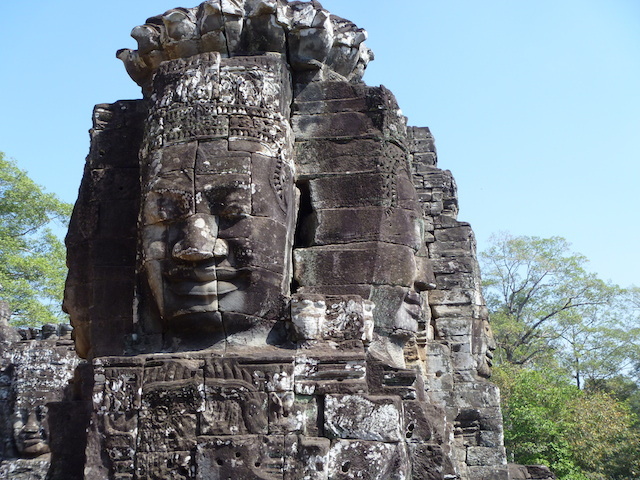 Bayon was built around the 12th-13th century by Jayavarman VII and stands in the middle of the ancient city of Angkor Thom. 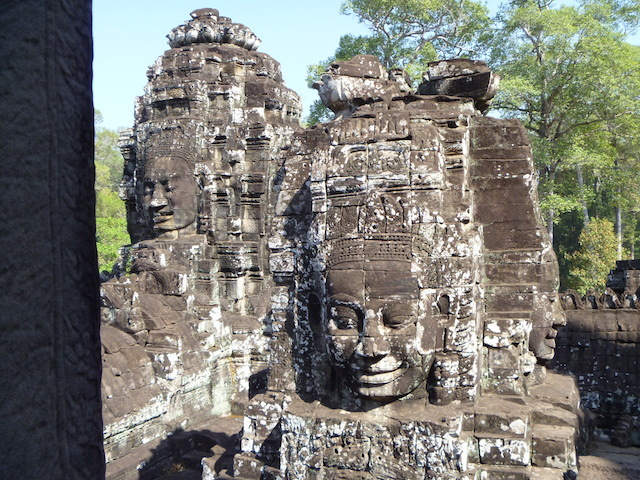 The most outstanding aspect of Bayon is the dozens of huge stone towers with serene and massive, images of faces. Its also the location of one of the most cliched tourist photo ops with tourists lining up to get a photo of kissing the Buddha image. Right up there with bumping noses with the Sphinx in Egypt and holding up the Leaning Tower of Pisa in Italy. Lovely! 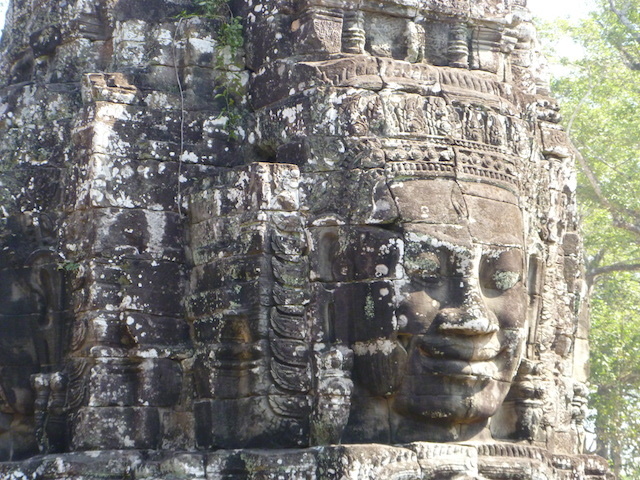 Mind you, if you have a guide, you will hard pressed to convince them you don’t need this particular photo opportunity. Anyway, I won’t babble on about it as the photos say it all. Don’t miss it if you get a chance. 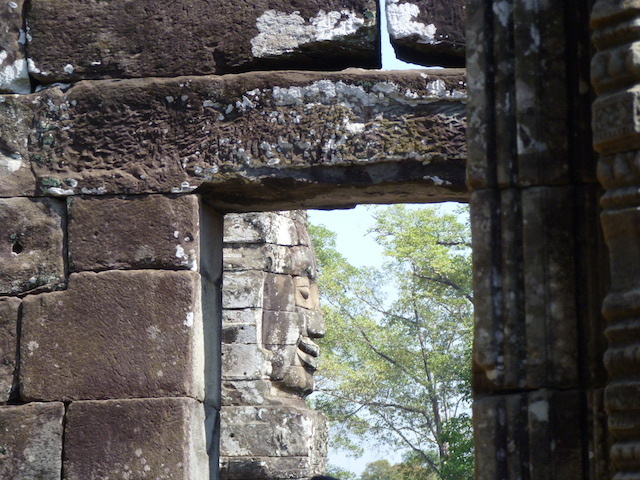 Oh and if you haven’t already ready it, you may also like my previous blog posting about Angkor Wat at sunrise. I agree! I loved that particular one as well! They are all amazing but this one is so unique!